Denise Gilliland began her teaching career in the Houston, Texas area in 1982, marking this, her thirty-fifth year teaching children and youth. Her earliest experiences were rich with multi-ethnic students who helped to shape her appreciation for the uniqueness of every child and culture. Mrs. Gilliland is Artistic Director for Children’s Choir of Huntington County, where she directs both the Children’s Choir and Joyful Songsters. Denise is a frequent clinician for Circle the State with Song festivals and has presented at the Indiana Music Educator’s convention. She is past director of the Lafayette Children’s Choir in Lafayette, Indiana and retired from teaching elementary music at Rossville Elementary in Rossville, IN. 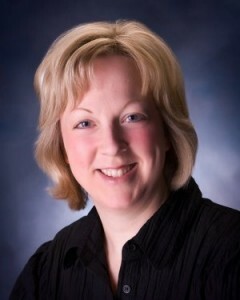 She was recognized as “Most Outstanding Elementary Music Educator” by IMEA in 2011. Her arrangement of “And the Angels Sang” was published by Hal Leonard Corporation, and premiered by the Indianapolis Children’s Choir, under the direction of Joshua Pedde. Denise’s master’s degree in choral conducting was earned at Butler University. As a certified Kodaly music educator, she studied privately with renowned conductors Henry Leck and Eric Stark. 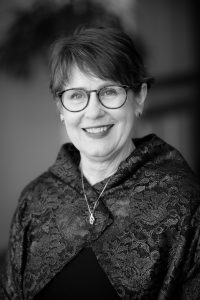 Sharon Lehman has worked as a choral director for CCHC since 2005 and is currently conducting CopperSound, our newest ensemble for students aged 13 to 18. She has also served as an interim director for the Fort Wayne Children’s Choir. Sharon has a BA in Music Education from Bluffton University and has taught music in both public and private schools across the midwest. Sharon is currently finishing a master’s degree in Choral Conducting at Ball State University, where she has worked as a graduate assistant with all of the university’s choral ensembles. Emily Goodwin Smith is delighted to be joining the Children’s Choir of Huntington County as assistant director and accompanist of Joyful Songsters. Emily has a Bachelors of Music in Vocal Performance from The University of Michigan and is currently getting K-12 Music Education Certification from IPFW. She has sung operatic roles such as Dame Quickly in Falstaff, Meg in Little Women, Third Lady in Die Zauberflöte, Nicklaus in Le Cont de Hoffman and Dinah in Trouble in Tahiti, to name a few. She sang for a season with the Detroit opera, as a soloist with the San Francisco Symphony as well as toured internationally in Germany and France as a the alto Soloist in Mendelssohn’s Elijah. This past holiday season Emily sang the alto solos in Handel’s Messiah with the Huntington University chorus and orchestra. 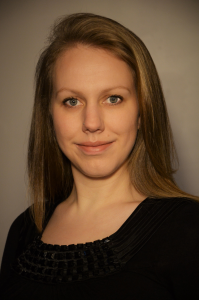 In April Emily will be singing the role of Principessa in Suor Angelica with the IPFW Opera. Emily teaches private harp, voice and piano lessons in her music studio, Studio 5003, as well as at the Huntington YMCA.